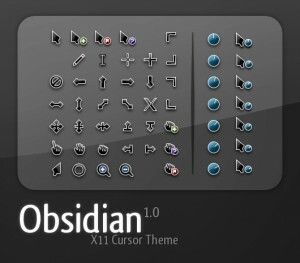 Obsidian Cursors is a shiny and clean cursor set created in Inkscape. 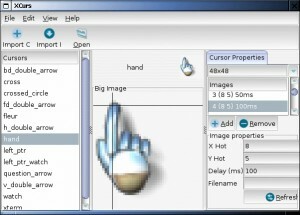 xcurs is a graphical editor for XFree86 4.3 full-color cursor properties. 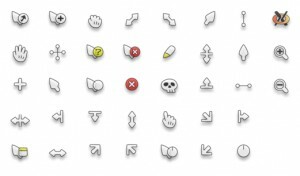 crystal xcursors provides a crystal look&feel cursor pack. 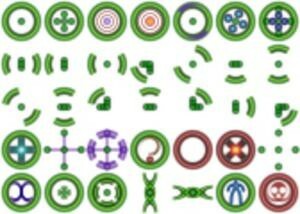 ComixCursors is an icon pack which provides original Comix Cursors. Vienna 3 is J. Aroche's Vienna3 for CursorXP, converted to an X11 cursor. MetalGold is a very nice looking mouse cursor theme. 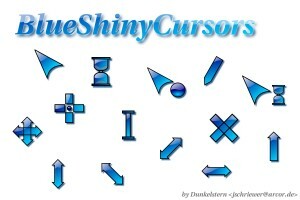 BlueShinyCursors is a cursor theme made in Inkscape and GIMP. second hand icons is inspired by the superb litho icons by anthony piraino. Shere Khan Black Hand is an X11 mouse theme. 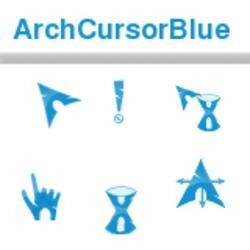 ArchCursorBlue is a blue cursor theme based upon Arch Linux's logo. metalheads_theme is an X11 mouse cursor theme specially designed for rockers. Polar provides a smooth and simple cursor set created primarily in Inkscape. 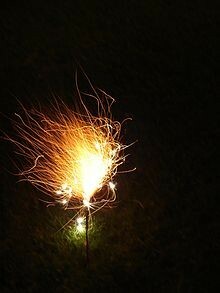 Sparkler is a small app that generates "sparkles" around the X pointer. 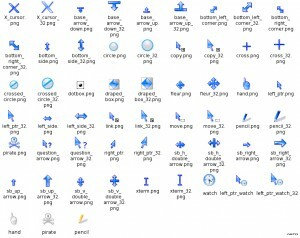 Smooth Icons is a mouse cursor theme. Breal is an X11 mouse cursor theme. 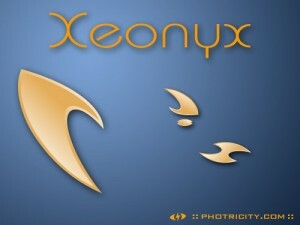 Xeonyx is a X11 mouse cursor theme. 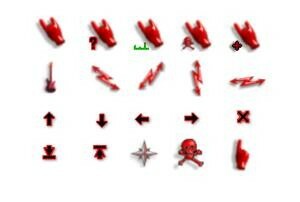 Faber is an X11 cursor theme, with a cartoon-ish look. mirRunde is a nice X11 cursor theme. 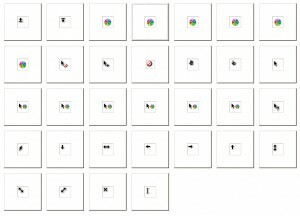 Primary is an cursor theme.